What is Private Mortgage Insurance? Do I Need PMI? Private mortgage insurance, also known as PMI, is a type of mortgage insurance common with conventional loans. It’s intended to protect the lender if you stop making your loan payments, and is required if you have less than 20 percent down payment for home purchases (or, if your equity is less than 20 percent for refinance loans). PMI is generally arranged by the lender and provided by private insurance companies. It’s typically added as a portion of your monthly mortgage payment, though some policies may require it as an upfront, lump sum at closing. Learn about your loan options by connecting with multiple lenders. Private mortgage insurance is intended to protect the lender if you stop making mortgage payments and default on your home loan. But, the benefit isn’t just to the insurer alone — PMI allows borrowers to purchase a home without a 20 percent down payment. Basically, PMI minimizes the risk to lenders and as a result they’re willing to offer loans to borrowers with less money down. Insured mortgages isn’t a new concept — they’ve been around since 1934 when the federal government began insuring mortgages with the introduction of the Federal Housing Administration (FHA) to stimulate home buying after the Great Depression. Before then, down payment requirements were 30 to 50 percent, but the FHA loan decreased this requirement to 10 percent with the purchase of insurance. The private mortgage insurance industry began as a way to offer lenders an alternative to FHA lending, when Mortgage Guaranty Insurance Corporation (MGIC) was founded in 1957. How much is private mortgage insurance? Private mortgage insurance rates for conventional loans vary depending on your borrower characteristics — your credit score, down payment amount, loan terms, and loan program all have an impact. Each insurer will have its own rates too. Typically, the lower your credit score and down payment, the higher your insurance premiums. How do I calculate my private mortgage insurance? To calculate your monthly rate, find the percentage from the table above and multiply it by the amount you’re borrowing (sale price minus your down payment). That is the annual PMI cost. Divide your annual amount by 12 to see what you’ll pay each month. For example, a $350,000 loan with an annual premium rate of 0.78% would cost $2,730 per year ($350,000 x .0078) or $228 per month. Is private mortgage insurance required for FHA loans? FHA loans do require mortgage insurance, referred to as MIP, but it’s not the same as PMI. FHA loans are backed by the government, which require its own insurance premium — it doesn’t go through “private” mortgage insurance companies like conventional loans. The other main difference is that MIP is required for the entire loan term for FHA loans if you make a down payment less than 10 percent unlike PMI, which can be removed after 20 percent equity is earned. If you put down more than 10 percent for an FHA loan, then you can remove MIP after 11 years. Your credit score doesn’t have an impact on your MIP rates either, meaning that for high-credit borrowers, FHA MIP can cost more than PMI. For example, the monthly rate for FHA MIP is $287 for a 30-year fixed loan with 3.5 percent down compared to $160 per month PMI for a borrower with a credit score of 770. 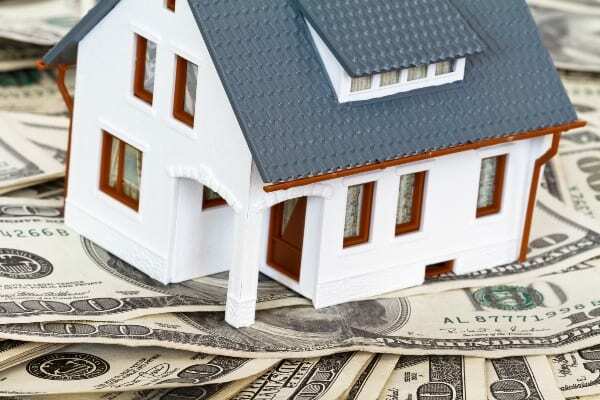 See our in-depth analysis of FHA versus PMI. The most common way to pay for PMI is by adding your premium amount to your monthly mortgage payment. Though, some policies may require an upfront, lump sum at closing (called borrower-paid mortgage insurance or BPMI), or financed in your loan amount (called lender-paid mortgage insurance or LPMI). With LPMI, you’ll take a higher interest rate. How you are required to pay PMI will depend on your policy, so be sure to ask your lender — some policies offer multiple options, while others require a specific one. Requesting PMI Cancellation. If your current loan balance is at or below 80 percent of the appraised value of your home, then you can request PMI be removed from your policy. You will need to officially request your lender to do this, who will then order an appraisal to verify the current market value. If it’s in fact lower, then PMI may be removed. Automatic Termination. Once your mortgage balance falls to 78 percent of the original sale price of your home, mortgage insurance is required by law to terminate. You must be current on your payments on the date your principal balance is scheduled to reach 78 percent. Final Termination. The month after you reach the halfway point of your loan amortization schedule, your lender must cancel PMI — this is true even if you have not reached 78 percent of the original value of your loan. If you have a 30-year conventional loan, then PMI will be cancelled after 15 years. The PMI deduction is not currently available for the 2018 tax year. It is possible for Congress to extend the deduction for tax year 2018 as it did in 2017 with the Bipartisan Budget Act of 2018, but there isn’t any current indication if this will happen again. Keep in mind that for those who have traditionally itemized their taxes, this deduction may not be as beneficial, since the passing of the Tax Cut and Jobs Act — the standard deduction was raised significantly to $24,000 for a married couple filing jointly, which may be a larger deduction than itemizing overall. When considering a conventional loan with a down payment of less than 20 percent, make sure you fully understand the lender’s PMI policy, including different payment and financing options as well as how and when PMI can be removed. It’s possible that private mortgage insurance is the best option for you if it means qualifying for a loan without 20 percent down. That said, depending on your actual down payment amount and your credit score, other loan options like FHA may be a less expensive option than a conventional loan with PMI. Previous story How Long After a Foreclosure Can I Buy a Home?